The blessing and the curse of Google Adwords is that you can spend whatever amount you want. Adwords lets you set your maximum budget, with no minimum daily ad spend. So if you want to spend exactly $823.47 a month and not a penny more, you can. 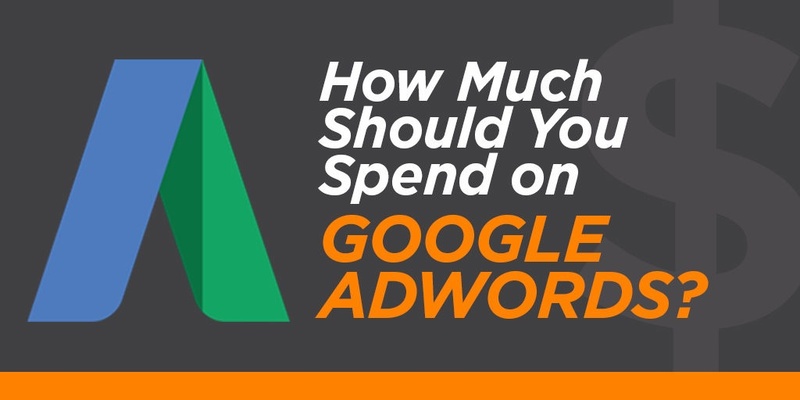 So the real question is: how much should you spend on Google Adwords? Your estimated CPC –Google provides tools to estimate your cost per click (CPC) for your business and keywords, which can give you a rough benchmark of what to expect. Your business goals – if your goal is to get a certain number of sales or new leads, that can help determine what you need to spend on Adwords to achieve your desired results. Your ROI – any of your marketing efforts that generate great results are an investment for your business. If you’re seeing a great ROI, you may want increase your spend. Testing – the best way to figure out what works is to try it. Invest in testing your PPC campaigns. To determine how much you should spend, the first thing you need to know is approximately how much each click will cost. Your CPC depends on which ad network you are using, your industry, your keywords, and the ad itself. Related Article: PPC – What Is It and How Does It Work? Search Network advertisements appear at the top of Google’s search engine results page, whereas Display ads can appear on millions of partner websites across the internet. Because the Search Network targets prospects who are actively searching for solutions, it commands a higher CPC. Banner ads on the Display Network have a much lower engagement rate, so they are less expensive per click. Average CPC varies widely depending on how competitive your industry is. The financial and legal industries, for example, are notoriously competitive when it comes to PPC. The tradeoff is that they selling high-value, long-term services, so they can afford spending more per click. Consider too the search intent of the keywords. Someone searching for “copper vs plastic pipes” is in information-gathering mode. They may be a potential future customer, but they may just be doing research and are not a qualified lead for your plumbing business. 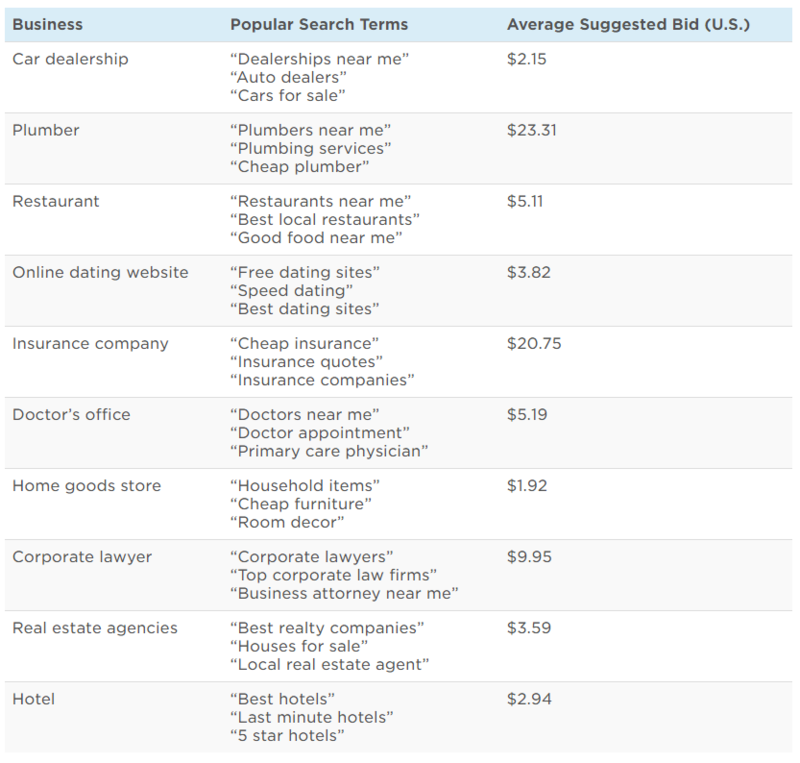 Compare that to the person searching for “plumbers near me.” They have an immediate intent to buy. So while some keywords are more expensive, they may be worth the investment to generate leads that are further along in the buying cycle. Remember, that the quality of your ad affects your CPC as well. A well designed, relevant ad will earn you a higher Quality Score, which in turn decreases your cost per click. So make sure that your ad and landing page are optimized to maximize the impact of your investment. How much you should spend on Google Adwords also depends on what you want to get out of your campaign, and how it fits in with the rest of your marketing strategy. You don’t want to dedicate too much of your marketing budget to PPC if it’s only a supplement to your other marketing efforts. But if you only spend $5 a day, you’re only going to get a couple of clicks, which likely won’t translate into significant results. So start with the results you want to achieve. Let’s say you’re a local shed manufacturer and you want to get 4 more customers each month (that may not sound like much, but remember, this is just one piece of your marketing strategy). We’ll assume your closing rate is about 25%, so that means you need 16 leads. Visitors to your website convert at 3% (overall Search Network average is 2.7%), so you need about 533 clicks. Multiply that by your cost per click – let’s call it $2.50 – and you get your estimated monthly budget: 1,333. Obviously, CPC and conversion rate can vary wildly between different businesses and different ads, and they can even change month to month. But this simple math can give you an idea of where to start with your Adwords budget. Let’s look again at the shed business example above. You spent your maximum budget of $1,333 last month and got 4 sales. Let’s assume your sheds sell for an average of $2,500 each, and you have a 30% profit margin. So if you sold 4 sheds last month, you made 2500 x 30% x 4 = $3,000. That’s a 125% ROI. That means for every $1 you’re investing in Adwords, you’re getting $2.25 back. If your Google Adwords campaign is consistently generating that kind of positive ROI, you may want to consider increasing your budget. 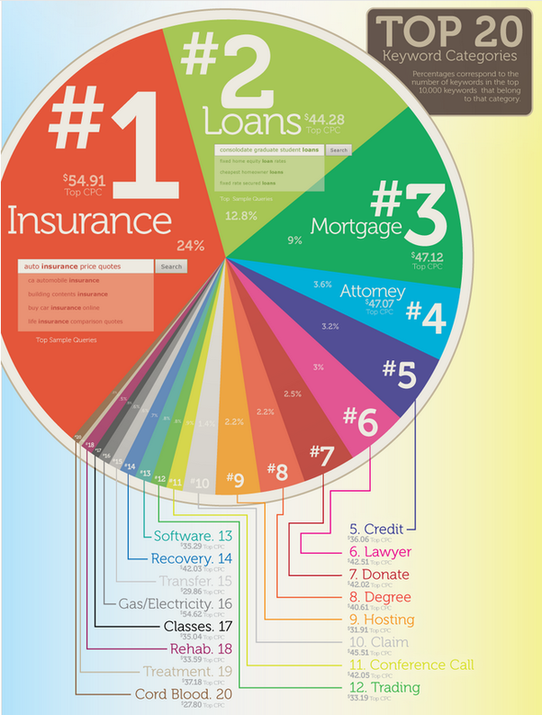 Ultimately, how much you should spend on Google Adwords needs to be based on data. And the only way to get that data is to actually try it. Adwords gives you an incredible amount of control over your ads, your budget, your audience, and more. The problem is this creates a huge amount of variables for how your campaign will perform. Invest in the time to test. It will take a few weeks to discover which ads and keywords are performing the best, and where you can improve. From there, you can shift your budget to strengthen your top-performing campaigns. Also, be cautious of the idea of starting with a tiny “test” budget to see if it works and then increasing your spend. Yes, of course you can always change your budget – that’s one of the great things about Google Adwords. But a $5/day budget vs a $50/day budget totally changes your strategy for how you’re bidding and what keywords you should pursue. It makes sense in theory, but it’s kind of like test driving a Civic to decide if you want a Mercedes. Finally, remember that testing should never stop. Even after you’ve found a good working budget, you should constantly analyze, tweak, and improve your PPC campaigns to maximize your investment. If you’re curious about trying Google Adwords for your business, let us know. We’d be happy to help you estimate CPCs for your top keywords and find an ad budget that will work for you.